Thanks for everyone who has donated to my SciFund Challenge shark feeding ecology project so far! Though I have surpassed my minimum funding goal of $3,000, I am still able to receive additional funds and all will be used for sample analysis fees. The offer to join us for a day of shark research still stands. There are also other marine biology projects involved in the SciFund Challenge that need your support! A brief description of some (provided by the lead scientist on each project) is below, along with a link to learn more and donate. Where have all the coral reef fish gone? Coral reefs are one of the most threatened ecosystems world wide. This project collects critical data for the Kenya Wildlife Service to promote effective coral reef conservation and management of marine protected areas. Reefs protect shorelines and prevent erosion of coastal properties and provide food and income to over 100 million people worldwide. Overfishing strongly contributes to the loss of reefs. Reef loss in turn, contributes to loss of biodiversity, economic decline, coastal destabilization, and loss of other nearshore habitats such as mangroves and seagrass beds. Dr. Jennifer O’Leary is tracking triggerfish in Kenyan Marine Protected Areas to assess the effect of overfishing on the recovery of coral reefs within the MPA. Head on over to Dr. O’Leary’s project page and send some rocket fuel her way! Can an abalone in a bag save two on the reef? The headlines paint a grim picture. The good news is that we have seen well-designed fishing practices begin to reverse the trend of fishery collapse. But what happens when these fish are also vulnerable to catastrophic disease? Abundant abalone populations supported the iconic California abalone fishery throughout much of the 20th century. Unfortunately, this fishery began a period of sharp decline in the 1970s as abalone populations became increasingly depleted due to overfishing. Making matters even worse, a fatal bacterial disease known as withering syndrome (WS) emerged in the mid-1980s, devastating the remaining abalone populations that managed to escape heavy fishing pressure. After decades of declining catches due to overfishing, it was the disease that finally led to the closure of the southern California abalone fishery in 1996. The fishery closure was a tragedy, not only for the divers who lost their livelihood and lifestyle, but for California’s coastal communities whose natural heritage was lost and resource managers whose fishery management efforts had failed. Here’s a fascinating question: Since fishing reduces population density, and lower population density reduces disease transmission, can targetted fishing of abalone be used to control the spread of abalone withering syndrome? That is exactly what graduate student Tal Ben-Horin wants to answer with this #SciFund proposal. Head on over to Tal’s project page and send some rocket fuel his way! Corals, the animals that famously build reefs get most of their energy, and most of their colour, from microscopic algae that live inside the coral tissue. This unique arrangement, however, is very sensitive to the surroundings. When the water gets too hot, the corals expel or consume the algae, and literally turn white. If the hot water persists, this “bleaching” process can effectively starve corals to death. The long-term survival of coral reefs will depend on the ability of corals to deal with increasing heat stress. Dr. Simon Donner’s research focuses on “climate change and coral bleaching, the El Nino phenomenon, climate change adaptation in the Pacific Islands, and obstacles to public education about climate change”. Funding for this project will all be spent in Kiribati, one of the coolest island nations. Head on over to Simon’s project page and send some rocket fuel his way! I am interested in how coral health might be impacted by poor water quality after short storm events. I will be looking at two bays on St. John, USVI. One bay is in the national park and has no upland development and the other bay has a lot of upland development (roads, houses, etc.) After storm events, I will be taking water samples to assess water quality and will also be assessing coral health. I will be looking primarily at Porites astreoides, a common Caribbean coral. I will be transplanting adult and juvenile P. astreoides corals into each bay and look at their health after each storm event. Looking at juvenile corals is really important because studies show they are more vulnerable to poor water quality and they are the next generation of coral reefs. I will also look at some corals that naturally occur in each bay, to see if corals exposed to poor water quality in the past respond differently to storm events. Brittney Honisch is a graduate students investigating how water quality affects coral health. Her research feeds directly into establishing water quality standards for protecting coral health in the Caribbean. As you probably know, we value baseline assessments and standardized methodology for conservation and management. Head on over to Brittney’s project page and send some rocket fuel her way! Seahorse Adventures from Lindsay Aylesworth on Vimeo. For Seahorse Adventures, graduate student Lindsay Aylesworth is looking for funding to support a local research assistant in southeast Asia, where she studies seahorse populations and fisheries interactions. I’ve got a long history with syngnathids, so appreciate any research done on the ocean’s oddest fishes. Head on over to Lindsay’s project page and send some rocket fuel her way! In case you were worried that in the wake of David’s quest for a blogging scholarship has distracted us from other philanthropic adventures, fear not, #SciFund is alive and well (and halfway done). For those just tuning in #SciFund is a month-and-a-half long initiative to raise funds for a variety of scientific research projects. Project leaders post a project description and an appeal for funds, and members of the public are invited to make small donations to projects that they deem worthy. Donations come with rewards such as access to project logs, images from fieldwork, your name in the acknowledgements of publications, among other possibilities. Many of these projects are marine or conservation themed. Over the last week, we highlighted seven of our favorite projects. Please take a look at these projects and, should you so desire, send some financial support their way. First, the good news: Turtles in the Deep is fully funded! Congratulations to Lindsey Peavey. We at Southern Fried Science can’t wait to see where your research takes you. Doctor Zen and the Amazon Crayfish, Hey! Did you miss that fish?, and Behold, the Power of Seagrass! have reached (or are very close) to the 50% mark, so they’re well on their way to reaching their funding goals by the end of #SciFund. But Saving Hawaii’s Coral Reefs, Tracking the Migration of the Atlantic Puffin, and Culture of Climate Change in French Polynesia are well below their goals and need your help. Head over to those three project sites take a look around, and consider making a contribution to any of these extremely worthwhile projects. Remember, it’s not a donation, it’s an investment in science! 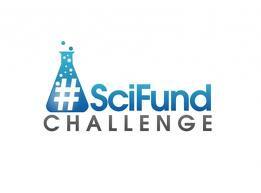 #SciFund Challenge: Hey! Did you miss that fish? Hey! Did you miss that fish? Jarrett Byrnes, the legendary blogger from I’m a Chordata, Urochodata, is interested in understanding how global change affects our oceans. He has access to an enormous, unprecedented data set from 30 years of fish surveys around the Channel Islands. There’s just one problem. This data set has been produced over 30 years by many different ecologists, in a host of different environmental conditions. There’s a error rate associated with it. Jarrett has a solution, and that solution is calculating the calibration rate for the data set by sending divers out to perform repeated samplings of the same area, and then use that data to determine the error rate associated with marine surveys. I really like this projects because it involves publically available, open access data, and has the potential to unlock a monumental data set which can then be used to understand the changes that have occurred over the last 30 years. Go take a look at his project page and help out if you can.